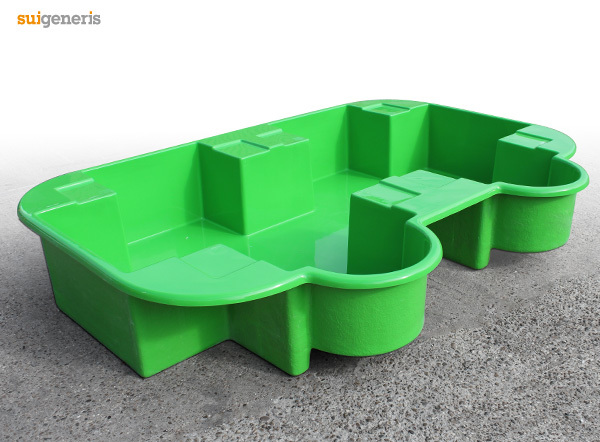 IBC Bundstands – available in any BS/RAL colour! Have your Sui Generis spill containment products manufactured in your corporate colours or any other colour of your choice. 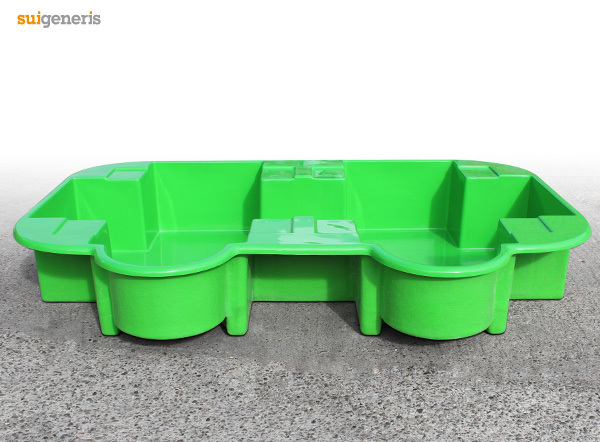 Clearly identify IBC contents or hazards with your IBC Bund colour. We recently produced this SG105 IBC Bund in RAL 6018. Spill containment for up to 2 x 1000 litre IBC, with dispensing facility. 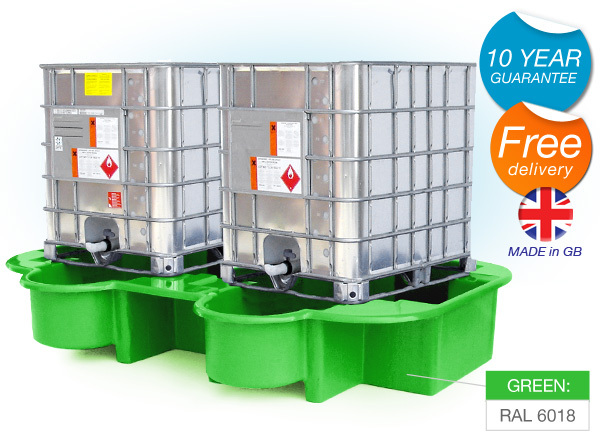 The SG105 is designed for the long term safe bunding of IBC’s and suitable for all oils and 95% of chemicals. IBC Bund Spill Pallets catch leaks, drips and spills to help you comply with current oil and chemical storage regulations, and keep your storage areas clean. 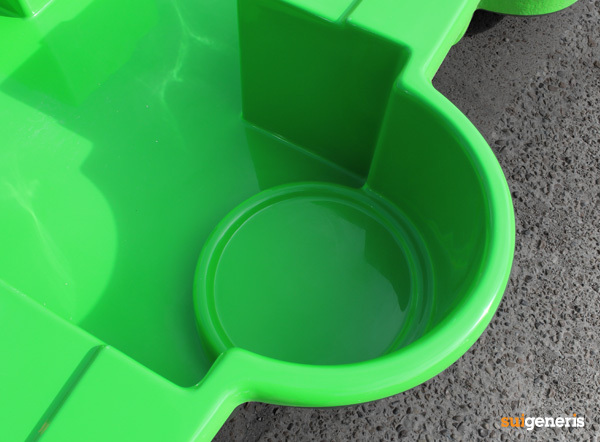 Specially designed for easy cleaning, the drip tray feature developed by Sui Generis is unique to our Bund Spill Pallets. 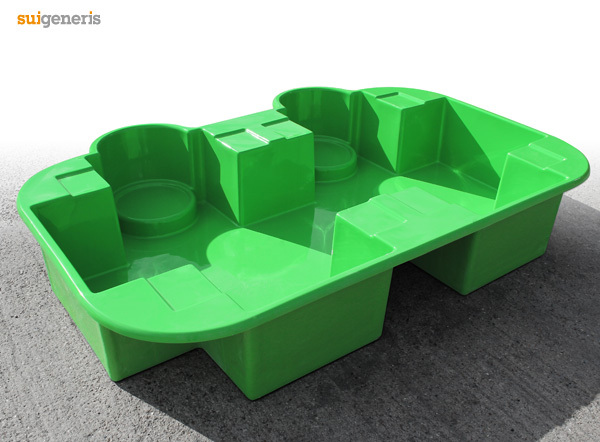 The tray catches leaks and small spills during dispensing operations in an easy to reach area, meaning you don’t have to clean the entire bund floor. This entry was posted in Case Studies, GRP Mouldings, Spill Containment. Bookmark the permalink.